When it’s time to entertain, the first step is deciding on the menu – what food, drinks, and sweets to serve. From holidays to birthdays to weekend parties, these no-fail entertaining tips will help you plan your menu and get the party started! – Never try a new recipe for the first time. Make something that is tried and true, and that you are comfortable making. – Don’t make more than three things homemade. Anything more than that and things get stressful! 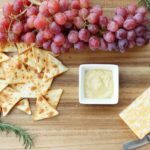 A cheese/cracker platter and dessert are two easy, store-bought items. Pick either a hot or cold dip, depending on the crowd and occasion. 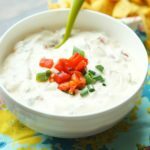 Serve with tortilla chips, veggies, and/or potato chips. Everyone loves a good dip. It seems to be the place where everyone congregates! If you have a big crowd, choose one of each – one hot and one cold dip. 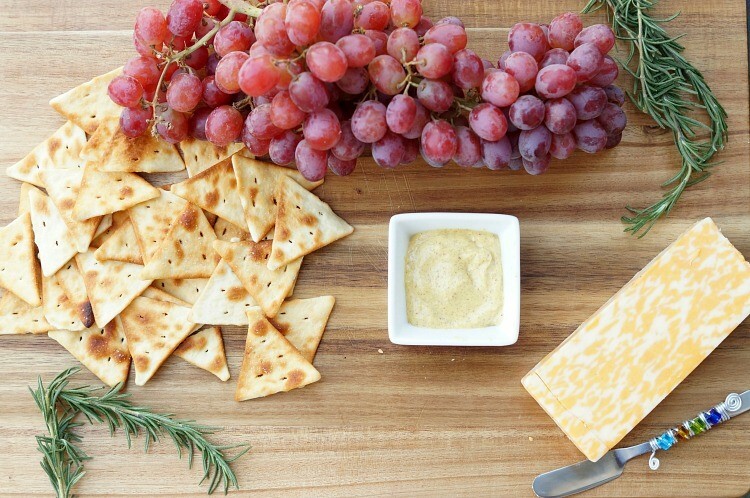 Pick up 2 types of cheese and a variety of crackers. Try a gourmet cheese and then a classic, like a sharp white cheddar. Don’t forget the mustard! Add sprigs of rosemary for fragrance and grapes for a pop of color. It instantly dresses up a cheese platter. Use a cutting board to display your food; it adds warmth and texture to your table. To make sure everyone leaves full, serve at least one meat-based appetizer – like meatballs! People love food on a stick – plus, you save money and cleanup on plates and forks. 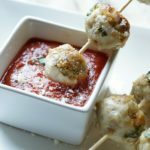 These Chicken Parmesan Meatball Skewers are always a hit! This is a good one to go homemade. Bruschetta and crostini – like this Herbed Ricotta Crostini with Marinated Tomatoes – look fancy but is so easy. 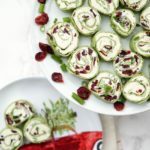 Cranberry feta pinwheels are also easy – but taste great and are easy to eat while mingling. Keep the food compact so folks can chat, and not super messy – people may be wearing their holiday best! Dessert can be the easiest item(s) to serve. 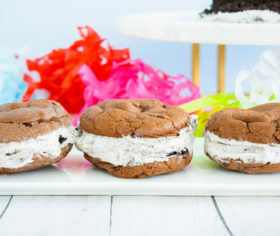 Include two sweets: one easy homemade and one storebought. 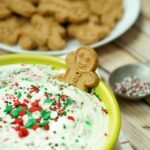 For the homemade, try something super easy – either a dip, like Cookies and Cream Cheesecake Dip or Christmas Cookie Dip, or cookies, bakery-fresh storebought or homemade. Make a few batches of cookie dough ahead of time and freeze them for easy prep later. For the main dessert, go with a cake. Try the OREO Ice Cream Cake. 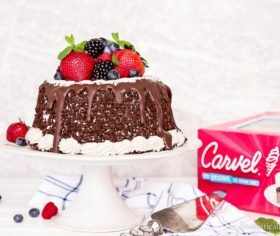 When a store-bought cake tastes this good, there’s no reason to bake! Available in the bakery section or freezer aisle at your grocery store. 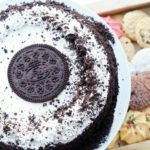 A vanilla-flavored ice cream cake blended with OREO cookie pieces, plus whipped frosting topped with a large OREO cookie and even more cookie crumbles. 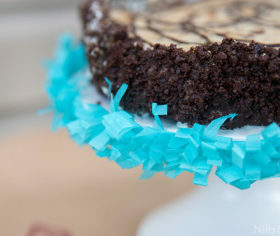 This is a great go-to for a quick but impressive dessert that will be everyone’s favorite.